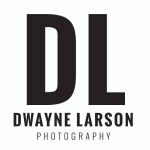 Get ready to experience Winnipeg's Provocative Local Speaker Series featuring entertainment by local artists! Get ready for some laughter, some inspiration and a sprinkle of live entertainment, not to mention some great conversations. You meet the nicest people at momondays. 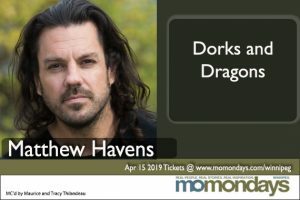 So if you are looking for a change up for a Monday night - plan a full night out with dinner (see details below) and entertainment! 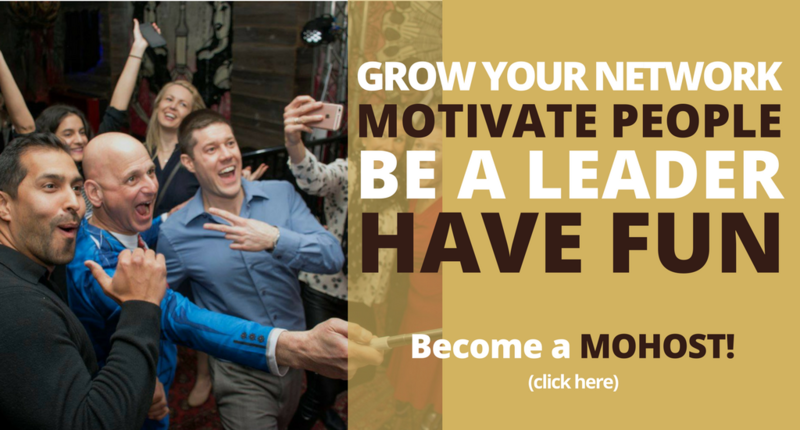 Details of our May speakers coming soon! The news had ripped a hole through life itself. As some sort of reflex, Justin reached for his guitar and started to play. A loved one departed long before his time. No one can be prepared for this. It feels like life stops. It doesn't, it just slows down, demonstrating absolute rule. Justin played. What was this? This wasn't how it was supposed to go. The rules had changed. What was he to do? 20 is an especially big number when it’s associated with the number of years you’ve suffered abuse. 20 years is also a long time and a lot happens in a long time...including joy, laughter, and love. 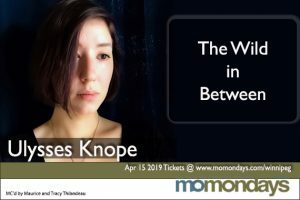 This is my life, where I learned wholeness by living wildly in the fringes of a world full of oversimplification, compartmentalization, disconnection, and the idea of a “perfect victim”. 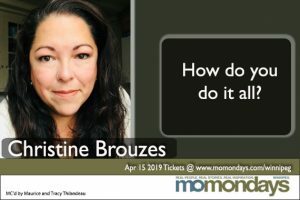 Christine Brouzes: How do you do it all? As a life long civil servant, her full time job is far from all she does. By day she supports families who have a child with a disability, by night she is mama and volunteer extraordinaire. Running a non profit that helps keep women safe, Christine found her passion in giving her time and heart. Advance online show tickets available now for just $15 plus GST and system fee until the Friday before the show. 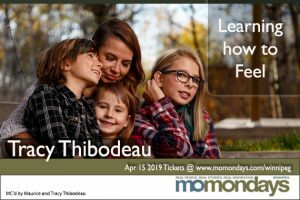 E-mail your friendly neighbourhood mo-hosts, Maurice and Tracy at winnipeg@momondays.com if you have any questions! 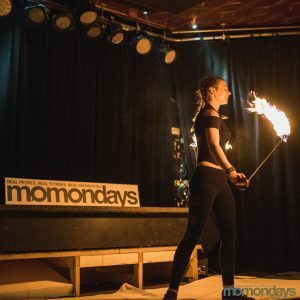 Come with your favourite group or come by yourself, either way, you’ll meet the nicest people at momondays! 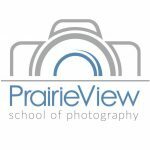 A BIG thank you to our sponsors Tiber River Naturals, Dwayne Larson Photography and PrairieView School of Photography! A Fun Evening Out Idea! The King's Head Pub offers their full menu to momonday's guests as we use their private event space. View their mouth-watering menu here. To ensure you have room for you and all your friends - reserve a table of 4, 6, 8 or 10. If tickets are available at the door, they will be $20. Supporting Youth and Families With Unique Challenges. Celebrating Strength. 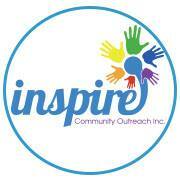 Inspire Community Outreach Inc. is an incorporated non-profit charity supporting social services working with youth and families in Manitoba. 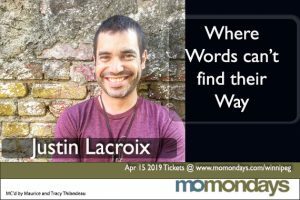 Check out the heart, humour and happiness at momondays Winnipeg!